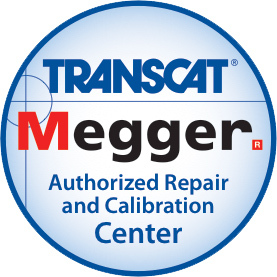 For more than a decade, Transcat has been the leading distributor of Megger products nationwide and a world-class provider of Megger instrument calibration services.We are also Megger’s only authorized repair center. With years of experience working with and servicing Megger products, we are confident we will provide you the lowest repair costs with the quickest turnaround in the industry. Our authorized repair technicians have decades of experience servicing and repairing Megger instruments and will ensure they are returned in proper working order. 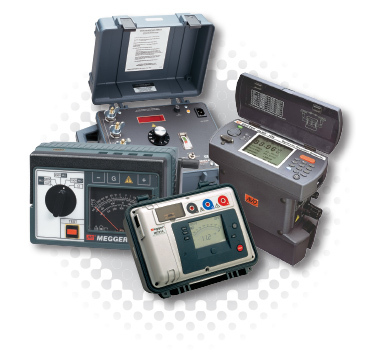 It doesn’t matter whether it’s an insulation tester or a ground tester, a DLRO or an ohmmeter, Transcat has got you covered. Transcat offers flat rate pricing on most common instruments. You know your price before you send in your instrument. On the instruments that don’t offer flat rate, we will provide you an estimate quickly after we receive your instrument. All Transcat repairs are also calibrated to ensure the entire instrument meets its published specification. All you need to do is choose which level of accredited calibration you require. Repairs are completed faster than most OEMs. Should you need to, you can monitor your instrument’s progress via our metrology management software, CalTrak Online. We repair and calibrate instruments from other leading manufacturers such as: Fluke, GE's Druck, Altek, Transmation, and many more. Check out all our repair capabilities. Transcat operates ISO 17025 Accredited Calibration Service labs throughout North America. Our metrology expertise is unmatched in the industry, and we provide an accredited calibration certificate with every unit we repair.